The Alarah and AVA Terraces are developments by the Wolfdene Group. 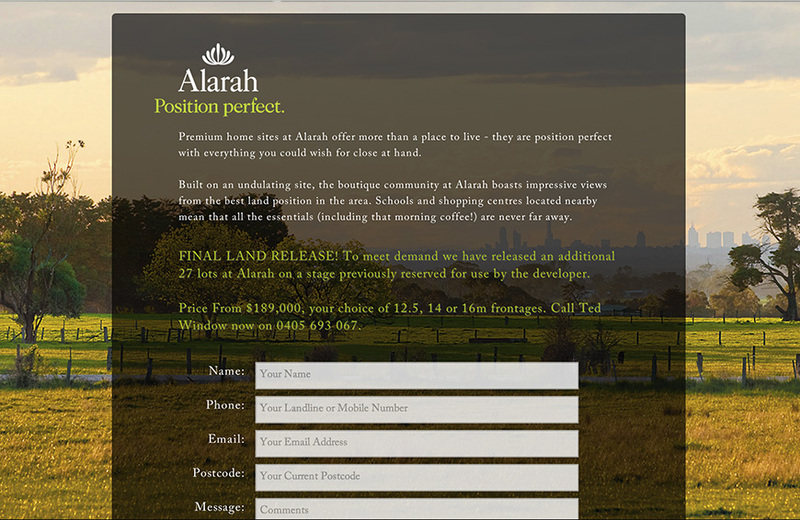 Both are built on an undulating site, the boutique community at Alarah boasts impressive views from the best land position in the area. Schools and shopping centres located nearby mean that all the essentials (including that morning coffee!) are never far away. AVA Terraces, an exclusive and vibrant designer enclave within the unique, boutique Alarah Development. Featuring stunning two storey terraces with views over adjacent parkland, stunning modern architecture, flowing open plan design, private outdoor courtyards and undercover parking. 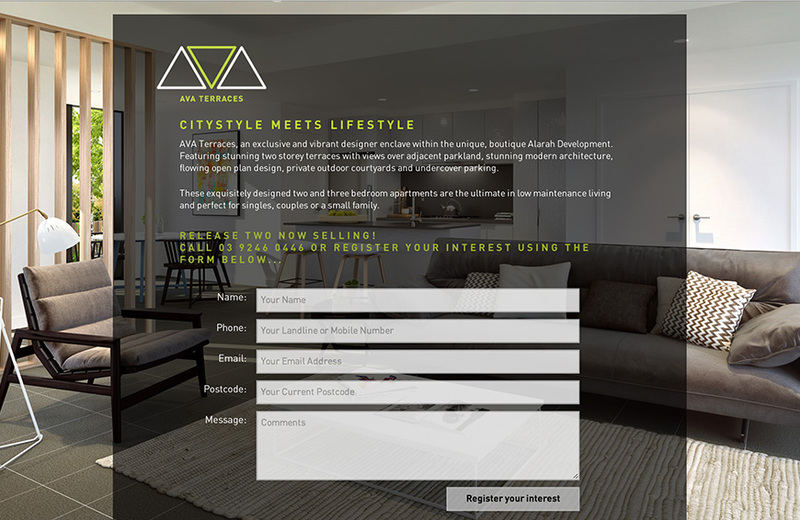 Story created two "landing page sites" to work in conjunction with Remarking, Print and Adword campaigns Wolfdene are running to generate leads for their salespeople. Users can download floor plans or read the respective brochures (using the ISSUU platform) online.